Just like rubber tired snowplows which keep highways clear today, trolley companies had snowplows to keep their tracks clear. 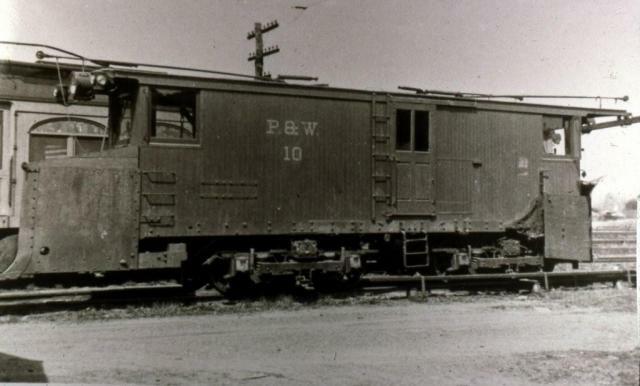 Trolley snowplow #10 was built by the Wason Manufacturing Co. of Springfield, MA in 1915, and was used to clear heavy snows from tracks of the Philadelphia & Western Railroad. 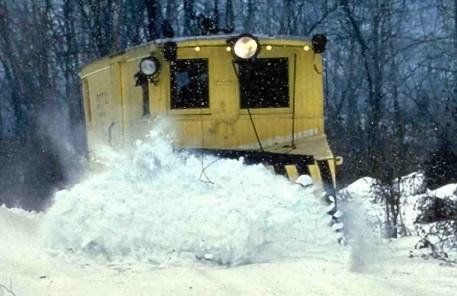 Known as a shear plow, car #10 pushes snow to the right side of the track only. Some plows were also built which pushed snow to both sides of the track. The plows of car #10 can be raised manually or pneumatically. Car #10 served its entire career operating on fourteen miles of track between Norristown and 69th Street Terminal in Upper Darby. It is believed the car may have occasionally been used to clear snow from the city streets of Norristown and the tracks of the Lehigh Valley Transit system as far north as Lansdale. In the 1940’s plow #10 was painted in a green color scheme. 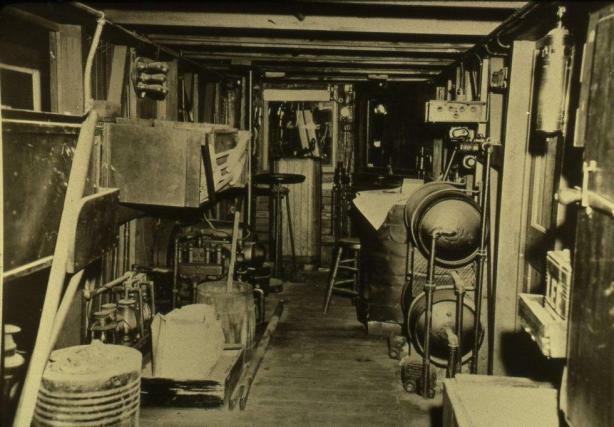 The interior of the plow carried all the tools that would be needed for snow clearing along the line. 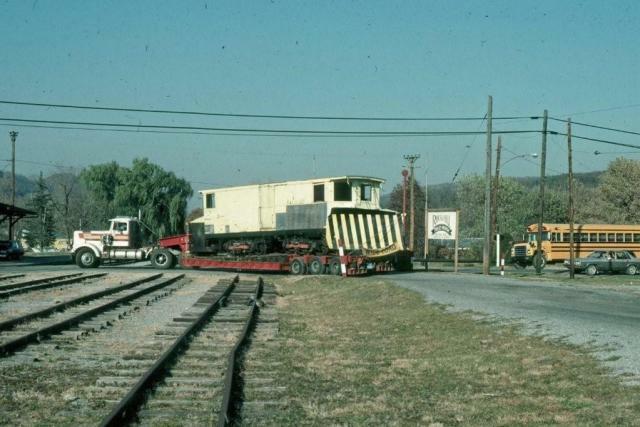 Like all trolley cars in the museum collection, Plow #10 arrived in Rockhill Furnace aboard a tractor trailer. Photo Date: November 4, 1988. Trolley plow #10 was in use until 1988 when it was acquired by our museum from SEPTA. It was the last operating trolley snowplow on any U.S. transit system. Since its arrival at the museum, car #10 has had some woodwork done to the body, the entire car has been repainted and relettered, and it has received mechanical maintenance. It is one of few trolley snowplows in existence today. It is in operating condition and able to plow snow on the Museum’s trolley line.